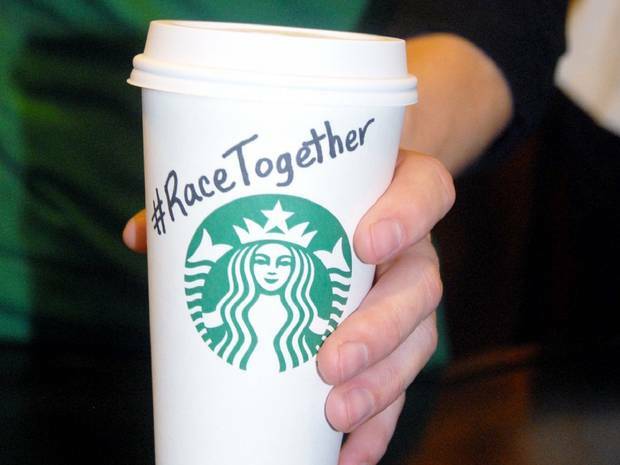 If you got your iced caramel macchiato at Starbucks last week, you probably found “Race Together” written on your cup. No, this was not a challenge to initiate a store-wide coffee drinking competition, but Starbucks’ attempt at a social awareness campaign about racial inequality. The idea: Initiate conversation about diversity through your cup of Joe. The outcome: Serious backlash, a shut-down Twitter account, and the halt of the campaign the week of its launch. This was not Starbucks first dive into social issues, the Starbucks Foundation being a large part of the global corporation. So, how did this campaign manage to fail so miserably, even with such good intentions? Looking from a purely PR perspective, Starbucks’ committed two missteps that really burnt the beans. Racial inequality has been a serious topic in the news this past year with headlines from the Ferguson, Mo. crisis and Eric Garner’s death. Unlike Starbuck’s past campaigns that addressed AIDS and jobs in America, this social issue stands out in that it is at a peak of tension with two distinct sides. Making customers believe that Starbucks was truly invested in the issue rather than being financially opportunistic required thorough planning- something Starbucks failed to do. Planning comes at all levels, and not only did the corporate executives not know how to handle the situation (spoiler: that’s next), the baristas didn’t either. Videos of baristas being unaware of the program or not wanting to discuss it began popping up all over the web. Starbucks, I get that you’re a big company and it’s hard to get everyone on the same page, but with such a heated topic, better preparing the ones who are primarily responsible for executing the campaign might be a good idea, especially since you were just accused of creating gentrification. It could prevent you coming off as a money-hungry corporation, seeking to capitalize on sensitive issues. Brew up a crisis plan, and actually follow it. Social media is like coffee. It has the ability to brighten your day and energize all of your efforts, but it also has the capability to give you really bad breathe before that 8 a.m. meeting. As an active social media beast, you would think that Starbucks is prepared for the negative consequences social media can bring, but that didn’t seem to happen. Almost immediately after its launch last Sunday, Starbucks began receiving serious Twitter backlash. Doing my part to #racetogether by saying “Django” when asked by the starbucks barista for my name. Did Starbucks start their #RaceTogether thing yet? I’m about to get an iced coffee and need to know if I should bring my Baldwin quotes. I’m assuming (and hoping) that Starbucks had a crisis plan established, yet rather than follow it, they responded the worst way you probably could- they didn’t. Corey duBrowa, Starbucks’ senior vice president of communications, fueled the fire by supposedly blocking Twitter accounts that responded negatively to Race Together and deactivating his own account. Bad move, duBrowa. And now Starbucks’ chairman and CEO, Howard Shultz, is defending that the halting of the campaign as planned and intended. I hope this is true, rather than a last-minute attempt to justify the company’s actions. Don’t get me wrong, I’m still going to visit Starbucks for my soy, no foam latte. Honestly, Starbucks has done a great job with social media engagement and humanitarian events in the past. This just wasn’t Starbucks’ cup of tea and from it we can see the value in proper campaign planning and crisis management. Want to espresso your thoughts? Comment below. Be sure to like IPR on Facebook and follow us on Twitter and Instagram. Where will you decide to spend your next spring break?